This past weekend was a bit hectic as I hosted an Easter egg hunt so I didn't get a chance to post up my latest Easter decorations and baking. 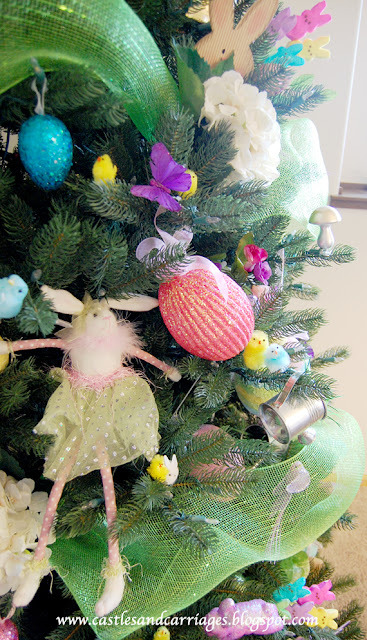 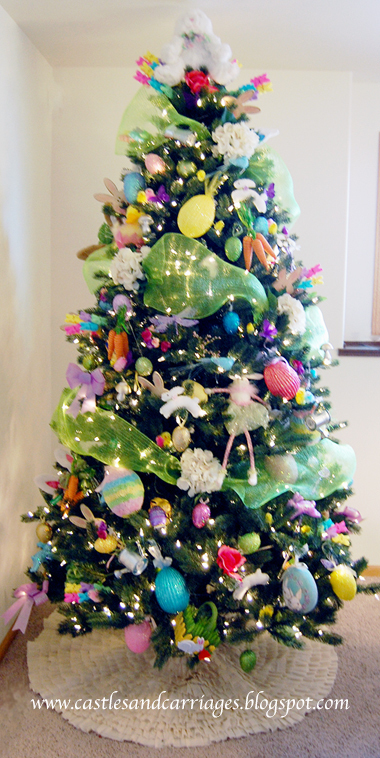 I actually had quite a bit of leftover Easter craft and decorating items so I decided to see whether I could decorate a full tree. I did add a few new items (the larger Easter eggs were from Jo-Ann's crafts this year). 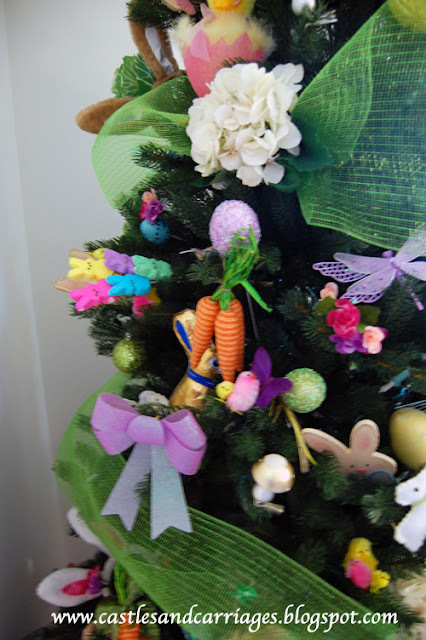 ...ribbons, bunny ears, golden toadstools, real chocolate bunnies (kept in their foil of course), dried peeps made into floral picks, faux carrots and cabbages (left over from my son's Peter Rabbit first birthday party). 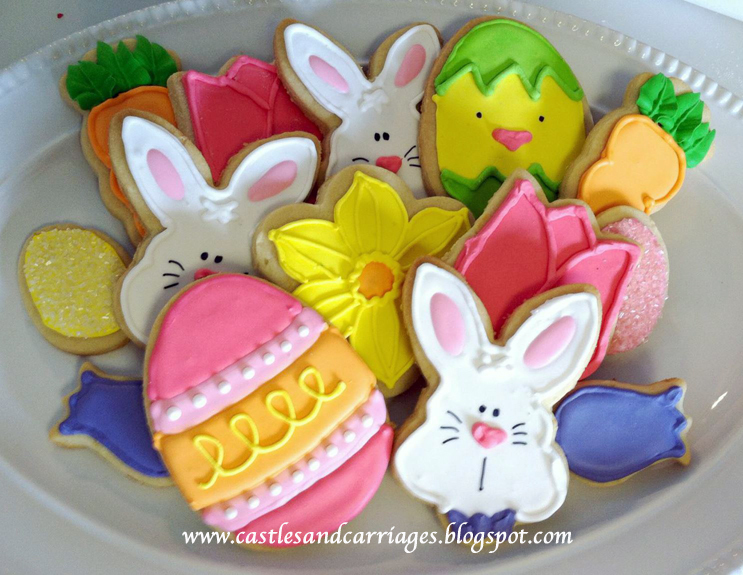 Last but not least, these are the sugar cookies I made for the Easter egg hunt. I hope you all had a wonderful Easter!